Pocket Places Peckham has teamed up with Peckham-based creative collective Garudio Studiage to bring their Colouring Book of Rye Lane “Nation of Shopkeepers” directly to the street itself. 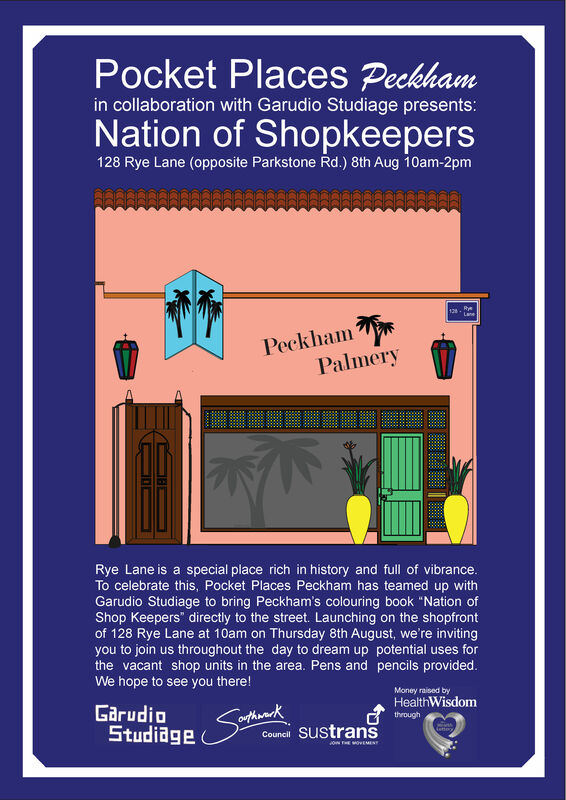 Taking place at 128 Rye Lane on Thursday 8th August, we’ll be encouraging the passing public of Peckham to draw-up their dream uses for the vacant shops in the area. The more people that get involved the better! Please find all details for the event listed on the poster below. ← The Rye Lane Vote!